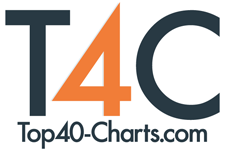 New York, NY (Top40 Charts / UMe) NOW That's What I Call Music!, the world's bestselling multiple-artist album series, presents today's biggest hits on NOW That's What I Call Music! 66, set for digital and CD release on Friday, May 4. 'NOW 66' features 16 major current hits from today's hottest artists, including Migos, , Zedd, & Grey, feat. Chris Stapleton, Demi Lovato, Dua Lipa, Jason Aldean, Camila Cabello, Maroon 5, Imagine Dragons, Miguel feat. Travis Scott, Khalid feat. Normani, The Chainsmokers, Niall Horan, Lauv, and 5 Seconds Of Summer. 'NOW 66' also includes five free up-and-coming "NOW Presents What's Next" New Music Preview bonus tracks from Calum Scott feat. Leona Lewis, Mayssa Karaa, Arlissa feat. Jonas Blue, Ruel, and Walkney. Previewing tomorrow's biggest hits, "NOW Presents What's Next" has introduced major developing artists to NOW's enthusiastic, highly engaged audience, including Walk The Moon, Hot Chelle Rae, Hunter Hayes, Capitol Cities, A Great Big World, and Shawn Mendes, among others. Celebrating 20 years of unprecedented American success this year, NOW That's What I Call Music! debuted in the U.S. in 1998, following 15 years of multi-platinum international triumph. The series has generated sales exceeding 250 million albums worldwide, including more than 100 million in the U.S. alone. All 65 previous releases in NOW's numeric U.S. series have reached Billboard's Top 10, and 19 volumes have reached Number One. NOW That's What I Call Music! is a joint venture from Universal Music Group and Sony Music Entertainment. NOW and NOW That's What I Call Music! are registered trademarks of Universal Music Group and its affiliates. NOW That's What I Call Music! is the soundtrack to your life, available everywhere you are. Sleeptalk Release Music Video For Stripped-down Version Of "I Hope You're Doing Well"